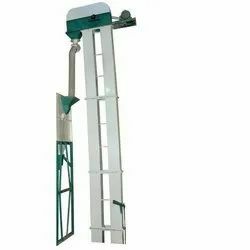 Our range of products include bucket elevator. We are offering Bucket Elevator. Cleans all kinds of food grains like wheat, sesame seeds, green gram, black gram, rice, cumin, mustard seeds, aniseeds, ajwain etc. Separates foreign particles and dust from all kinds of food grains.